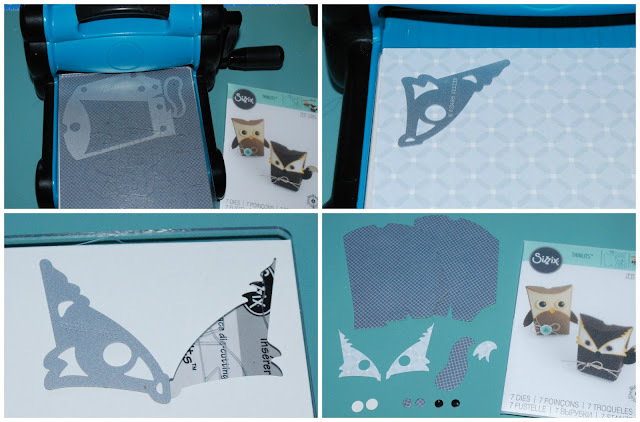 I'm back again as Guest Designer for Sizzix today! 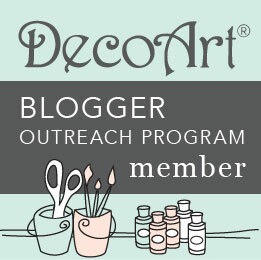 This time, here at my own blog! 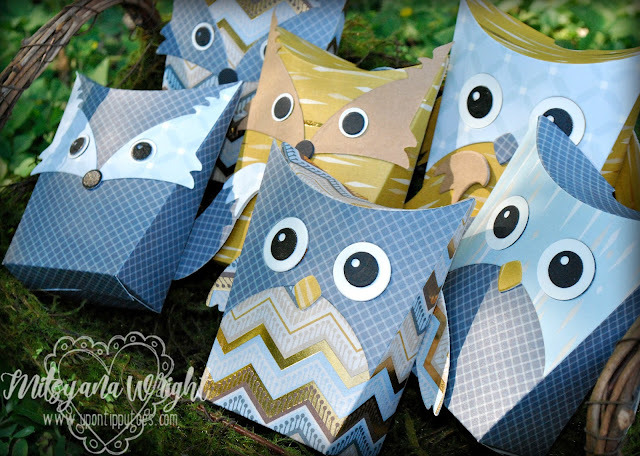 And today's project is sure to give you the "warm fuzzies"... because I made these adorable Woodland Animals Themed Treat Boxes!! I decided to make the foxes first. 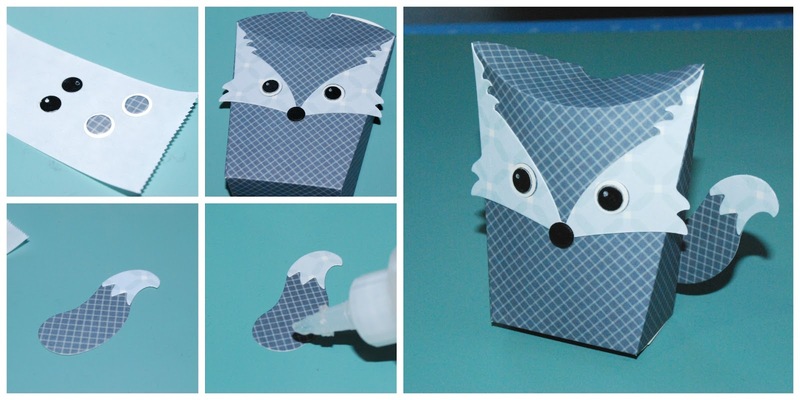 So I started by die cutting the main panels for the box (both the fox and owl use the same box base) and the tail out of patterned paper. You will need two of each. I like to double up my paper before running it through my die cut machine to get both set of cuts at the same time. Then, I die cut the mask and eyes for the fox. You will need two of these as well, but one of the pieces have to be "mirrored". 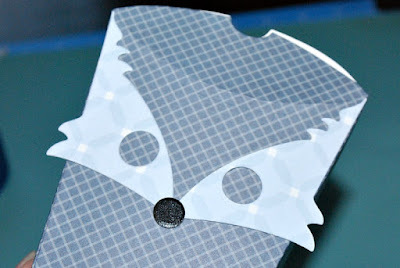 You can achieved a mirror cut by folding it your paper first and laying your die slightly passed the cutting blade on the nose... Or by die cutting your usually way (blade faced down on the patterned side of the paper) then cut another piece out (blade side down on the white side of the paper). Whichever is easiest for you. You will also need to cut 2 each of the eye pieces, a nose (I used the largest circle of the eye for this part) and a tip for the tail. I set this aside to assemble the box. This part was so super easy! 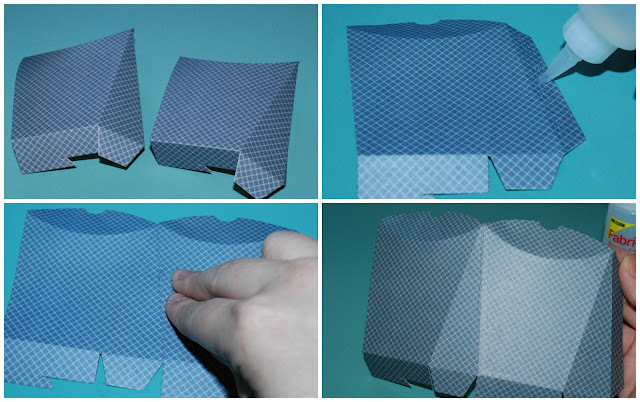 I simply folded on all the crease lines, added strong clear glue to the tabs, and adhered them together. Tab should be joined to a "non-tab" side of the other panel. Someone once asked me how I ran my smaller pieces through my sticker machines... well, here's my little secret... I attach them face down onto blue painter's tape first! I make a tab on one end (so the sticker machine has something to grip onto. 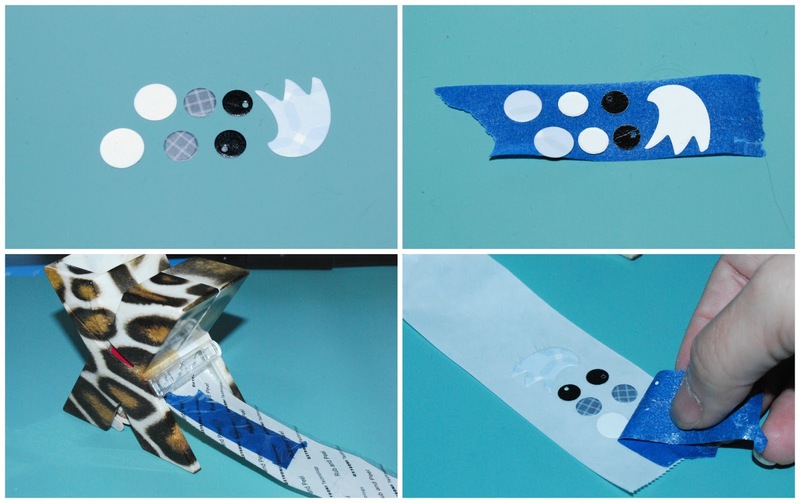 A piece of paper will work too) and then pull a whole line of tiny pieces through at one time. Then I burnish the back to make sure I got good adhesion, peel off the protective film, and gently pull the blue tape off. Now I have adhesive backed sticker ready to go! Because this little dude has side tufts sticking off the side of the box I used more liquid glue to attach these pieces. Then covered up the cut ends with his little nose. I layered his eye pieces and popped them into the eye holes. Then attached the mirror pieces of the tail together and layered the matching tips, then glued it to his backside. You don't need to make the tails double sided but it looks more finished from behind if you do. The base of the box is the same as the one above. The only difference is their little faces and what's attached to it's back. To make the OWL you will need... One mask, one beak, two of each eye piece (whites of the eyes and irises) , and four wing (2 mirrored sets). 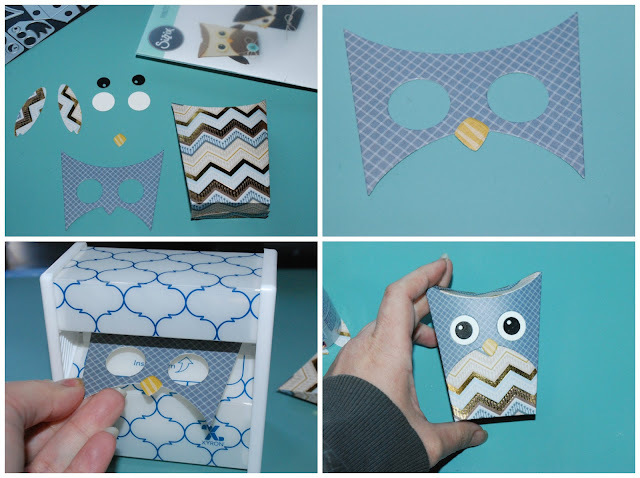 I start my owls by first attaching the beak with some glue. Then I ran the mask through my sticker maker. I forgot to run the eyes in at the same time so I just used liquid adhesive to pop them in place. The edges of your masks should line up from tip to tip and side to side perfectly. Glue the mirroring wing together and attach to the back of the box in a slight angle. I like to use the eyes as a point of reference on where to place the ends of my wings so that they look even. I love how mixing and matching different patterned papers can get you several different looks. Here several different one that I have made. And here they are all playing in the woods... just like little woodland animal should! 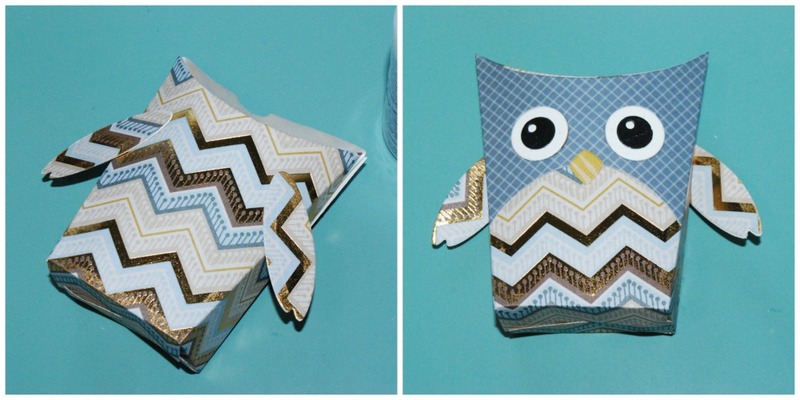 These favor boxes are absolutely adorable. You can fill them with your favorite treats and set them as party favors or... with Easter coming up they'd make a darling alternative to Easter eggs. How cute would these be hidden along the bunny trail? I know I had a fantastic time making them! Special THANK YOU going out to Sizzix for inviting me to be a Guest Designer this month!! I don't understand. Are these new sets of dies by Jen Long or are you using the dies for her cards and converting to boxes? 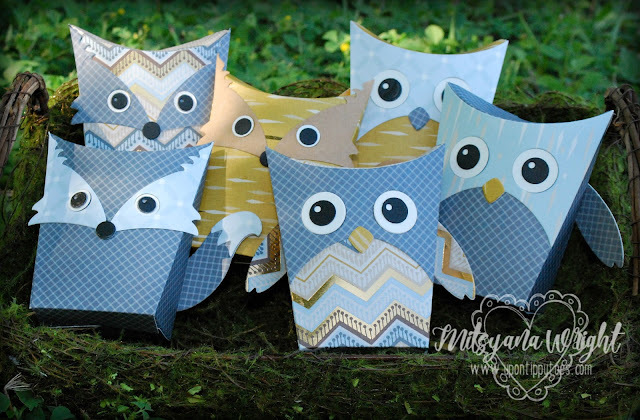 Hi Cynthia, This die set is Jen Long's Owl & Fox Box 6pk die set. This one set makes both the fox and the owl. 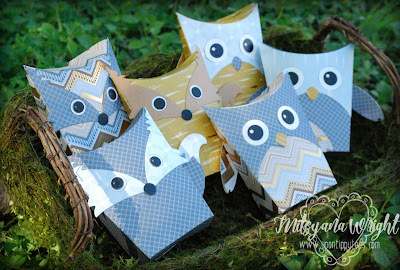 These are not the fox and owl card dies. 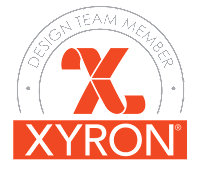 I linked these dies in the supply list above if you would like to check them out.